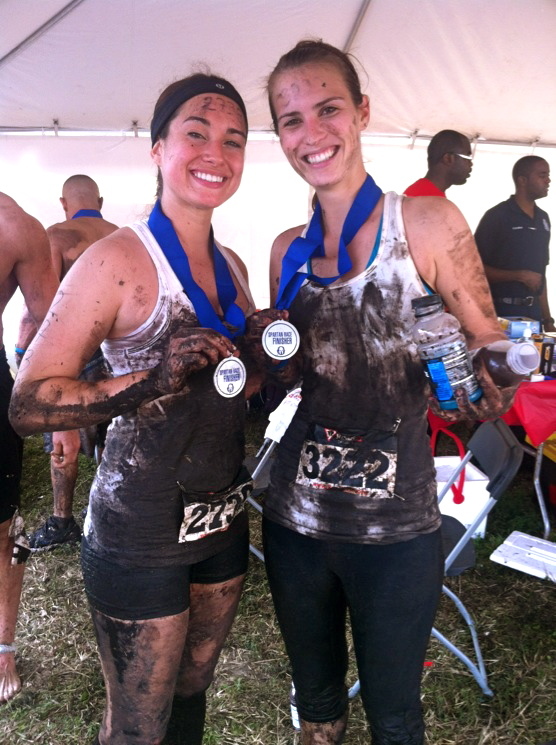 This past weekend I did one of the hardest things I’ve ever physically done…The Super Spartan Race in Miami Florida. 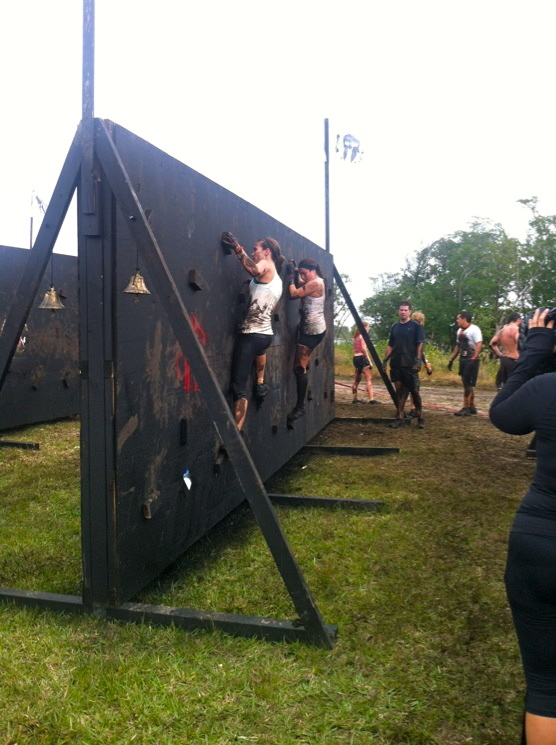 8+ miles and according to the MC of the event over 30 obstacles. At first I couldn’t recall encountering 30 obstacles but then again it all seemed to blur together towards the end. Then I thought about it. They had to have counted the straight 2-3 mile trail run as at least 15 obstacles in itself with giant roots, 2-5 foot drops, and shaky bridges that seem fit for the next Indiana Jones movie (we all know they’ll make another). However, the obstacles I could recall were the greased monkey bars, the tire flipping, tire carry, wall climbs, mud crawls under barbed wire, and my personal favorite (the two that almost made me lose my breakfast) were the rope climb and wall scale. The catch of the Super Spartan is that if you don’t complete an obstacle for lack of effort or because you simply fail, you’re getting down and dirty for 30 burpees. Now if you have ever done a burpee you’ll sympathize. I slipped off the third greased monkey bar after our quarter mile swim and wanted to die doing those 30 burpees so by the end of the race when I hit the rope climb and wall scale, I refused to do a single burpee more!!! It was in that desperation, err, I mean determination, that I completed the rope climb. I felt so proud making it to the top and ringing that bell while others around me were doing their burpees. Then we got to the wall. Seemed easy enough until you tried to get a grip on the muddy wooden stubs and then found out you couldn’t touch the top of the wall and naturally you couldn’t touch the ground. I made it half way across when the woman in charge of torturing you with the burpees yelled something along the lines of “She’s gonna make it!” Next thing I knew, I had a crowd gathered and a photographer getting what I’m sure are some less than flattering pictures of me. However, I feel like I need to thank every member of that crowd because with everyone watching failure certainly wasn’t an option…and I successfully made it. The rope climb that wore out your arms just before this point was another victorious feeling…although you wouldn’t be able to tell by my face afterwards. I think that was a face of triumph and pain. Or a, “Man I’m really dirty!” face. I suppose the highlight for most people was the free beer you get upon crossing the finish line. For me, however, it was the ground to lay on and a cold Powerade, which note to self and all those listening, do not chug right after a race! The race in itself was by far the most fun I’ve had “working out”. I put that in quotations because when you’re doing something that much fun it doesn’t seem like a work out at all. In fact, I’m already signed up for my next race in April, the Mud Crusade! I can’t wait for another muddy race full of obstacles and physical exhaustion. I highly recommend everyone get out there and do a Warrior Dash, Spartan Race, Tough Mudder or something similar. Just be sure to train first, it’s necessary and a great excuse to get in shape! 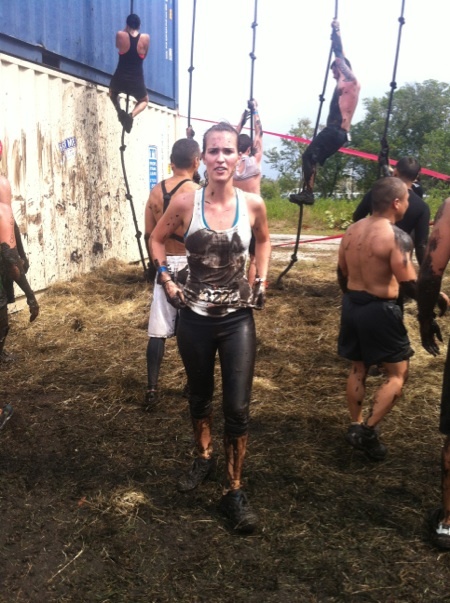 This entry was posted in Fitness/Workouts and tagged fitness, marathon, race, running, Spartan. Bookmark the permalink. Stumbled across this tonight. I’ve done a Warrior Dash in Missouri. Doing my first Spartan next month at the Super in Vegas. I just want to survive! Enjoyed reading your post. The Super Spartan is tough, but it is also a blast. Not to mention the feeling of accomplishment you get after crossing the finish line alive! Ha. Vegas would be such a fun place to do it and I’m sure you will do great! You’ll have to let me know how it goes. Yeah I am spending a few days there and CrossFitting a day or two also. I’m pumped. I’ll definitely let you know! Does your blog have a Twitter or Facebook account? Looks like a great time! I love how getting muddy, dirty, and sweaty is now socially acceptable as a form of entertainment! So great and inspiring to see tough fit chicks!